Chapman's 1787 map of Newmarket does show some buildings at this location, but unfortunately they're not labelled and are nowhere near as extensive as the house and stables that appeared later, as detailed on this page. The 1821 enclosures map shows an F. Smallman owning land at this location - this is Francis Smallman; trainer to the Prince Regent (the Prince of Wales, later King George IV). 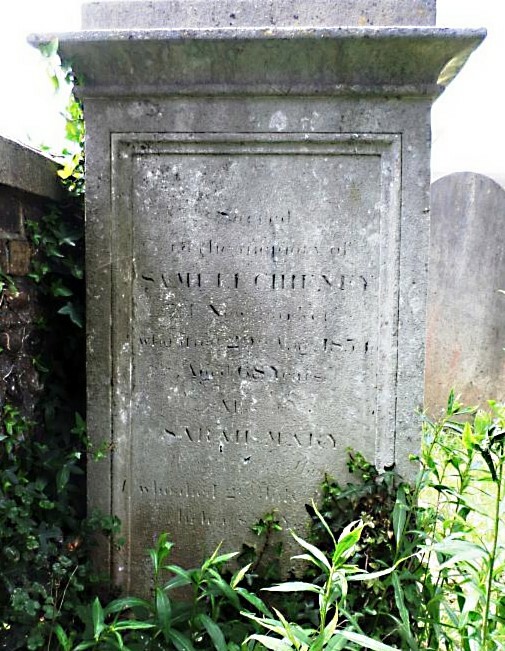 Referring to the family tree below you'll see that Francis' sister; Sarah Smallman, married Sam Chifney. He was the Prince Regent's jockey and is infamous for riding the horse 'Escape' on 20th & 21st October 1791 in such a manner that he was accused of cheating, a situation that ended up with the Prince Regent falling out with the Jockey Club and refraining from racing for many years. 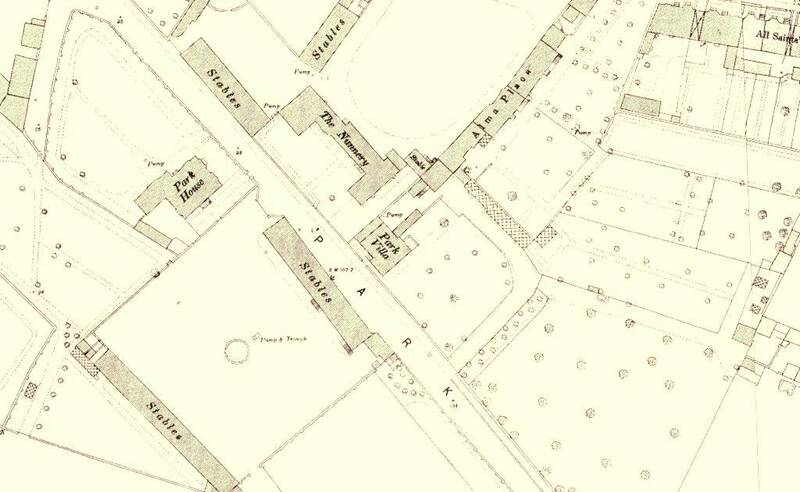 Francis Smallman can be still be seen living at this location on the 1841 census and by then he's listed as being in the 'Nunnery' stables in Dog Kennel Lane (Park Lane). 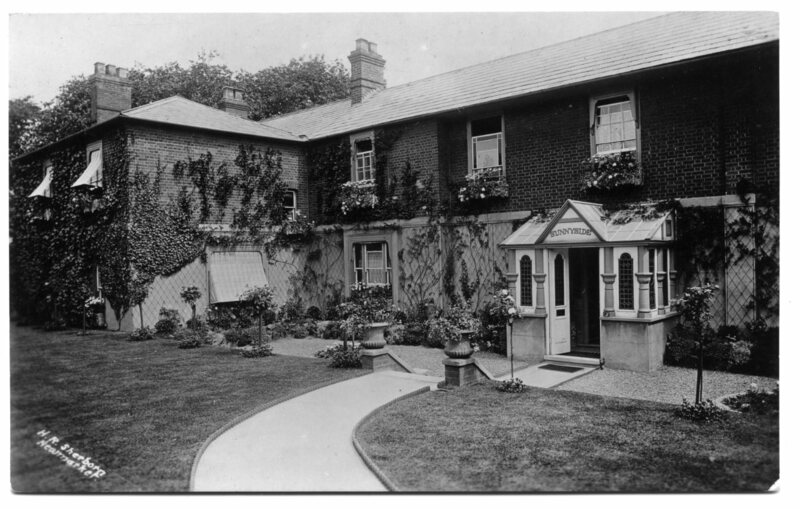 It therefore appears that it was either he or his father (another Francis Smallman, also a racehorse trainer), who must have been the original occupiers and who most probably built this particular house and stables. This site though had originally been part of the extended palace grounds of King James I and Charles I, and there were definitely still buildings and stables here at that earlier time, but unfortunately the various surveys are too vague to work out exactly what was where. Sam Chifney's daughter Elizabeth can also be seen living in the house with the Smallman family. Both of Sam Chifney's sons; William (Bill) & Sam Jnr. became jockeys and subsequently trainers. As teenagers, they both went to work at Prince George (IV)’s stables in Newmarket (then Prince Regent), earning an annual salary of eight guineas. 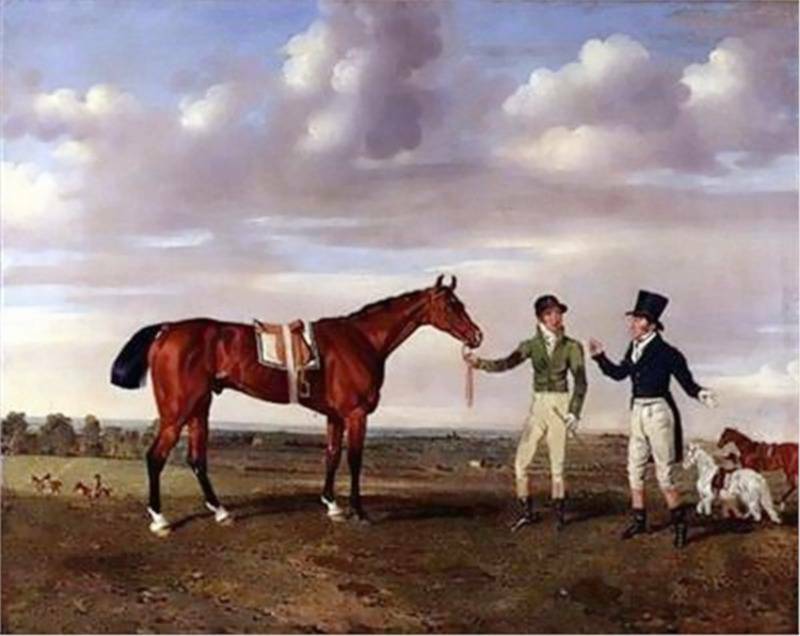 Sam quickly established himself as a jockey, but William fell into the Prince’s serious bad books; as the spectre of the Escape affair came back with a vengeance, when in 1802 he seriously assaulted Colonel Leigh (then the manager of the Prince’s stud) in the High Street, in front of the Jockey Club. Colonel Leigh had previously accused William’s father of foul riding Escape, and William, then only a boy, overheard this ... it stuck in his mind. He waited until many years later, when at the age of 18 he angrily confronted Leigh. The Colonel pressed charges and William was jailed for six months with hard labour. After his release, the Colonel extended a hand of friendship, which, wisely, William accepted. A firm friendship developed between the two, which was only ended by the Colonel’s death in 1850. As for Sam, in around 1820 Lord Darlington, the first Duke of Cleveland built Cleveland House in Old Station Road and invited Sam, who'd been his jockey for many years, to stay at the house. Sam lived there until his death in 1854. William's house being referred to in this book is Warren House in the area of Shag Bag and what was then known as Cheveley Road, later becoming Upper Station Road and now Old Station Road ... further details about this can be found on the page for the Dawson family. Many thanks to Ted Robbens for this photo. Soon after the Marquis's St. Leger , there passed away Bill Chifney, brother of the great Sam, at the ripe old age of seventy-eight. For years he had been in very poor circumstances, living in the Model Lodging-houses at Pentonville, and getting down to his "dear Heath" when the state of the exchequer allowed of a third-class return ticket to Newmarket. Even there he was sometimes too feeble to get farther than the top of the town, where, with his back to the cemetery wall, he would watch the horses returning to stables after their races. When it was one of his good days, he braved the blasts of the Heath in an ancient blue cloak, and a hat made secure with a parti-coloured bandanna. He was in appearance "like a tall, thin, elderly clergyman, rather lame; but he retained all that high-bred manner which marked him as a relic of the Prince Regent's Turf prime." He was garrulous, but a laudator temporis acti [praising the years]. In his London lodging, or at a Newmarket tavern, he would gather round him a knot of such as were willing to listen to the traditions of the giants - the history of the palmy times. Of his father, of Buckle and Robinson, of Connolly, and his nephew, Frank Butler, he would talk by the hour; but his brother Sam he rather affected to pooh-pooh. Then, with his pipe in his mouth and a cup of ale before him, he was Sir Oracle. "There he sat, as I thought, expounding the law and the prophets, until, on drawing a little nearer, I found he was only expatiating on the merits of a brown horse" - though poor Bill Chifney talked rather of men than of horses, Zinganee being the only animal he ever seemed to have a pride in mentioning. 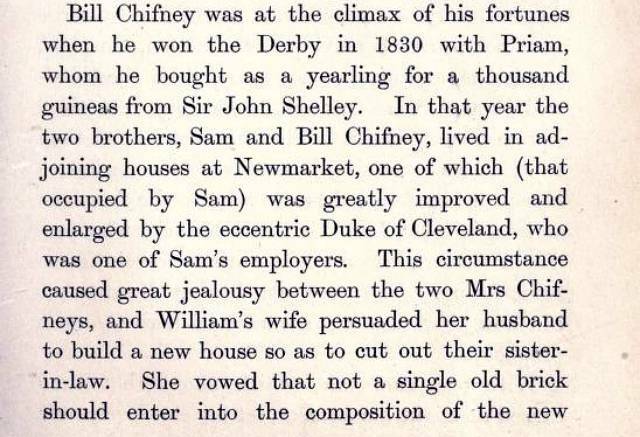 Sam Chifney senior's other daughter; Harriet, married James Weatherby who's father owned the land adjacent to the Six Acre Paddock in 1821, that later became the Subscription Rooms - No.99 High Street. The Chifney family's royal connections continue - as following her husband James' death in 1840 Harriet Weatherby can be seen on the 1861 census as having had the honour of being the last occupier of Queen Anne's Pavilion, the final remaining part of Charles II's palace on the High Street, before it was demolished in 1863 to make way for the Congregational Church. Following Francis Smallman's death in 1846 the Nunnery doesn't appear to be occupied for a period of time - it's not listed in either the 1851 or 1861 censuses. In the 1869 Post Office Directory William Gilbert is shown here. He was born in around 1830 in Stockbridge, Hampshire, and was the private trainer to Henry Savile at the Nunnery stables. Henry Savile lived at Rufford Abbey, Ollerton, Nottinghamshire, but during his time in Newmarket he stayed in Bolton House, which was later renamed to Milton House - No.105 High Street. This racing partnership came to an end when Henry died in Grosvenor Square in London on 28th August 1881. Francis died two years later in Newmarket in 1883. Before 1880 Richard Sherrard had been head lad to Joseph Dawson at Bedford Lodge stables. Sir George Chetwynd was one of the racehorse owners who trained in Sherrard's stables. Sherrard left the stables on 10th December 1884 and it seems that soon after Edward Bambridge took over its occupancy; as he's shown there on the 1891 census. Born in Newmarket in 1843, over the years he'd had been many things - draper's assistant, bank clerk and eventually a racehorse trainer. He died on 16th May 1893 at the Nunnery. We regret to hear of the death of Bambridge, the well-known trainer of the Nunnery Stables, Newmarket. He was for years associated with 'Billy' Burton, and, amongst many, other owners, with the late Mr. 'Abington' Baird. His death was brought about by a chill, caught at Portsmouth Park. Mr. William Burton, the jobmaster and one of the plating kings, has lost his trainer by the death of Edward Bambridge, of the Nunnery Stables, Newmarket. There were possibly few men in Newmarket who liked racing better than did Bambridge. The William (Billy) Henry Burton detailed above, b. 8th July 1864 in Marylebone, London, had been a horse-dealer. He's shown on the 1911 census at 25 Beaumont Street, Portland Place as manager in his father's horse-dealing business. Between the death of Edward Bambridge in 1893 and around 1904 when Joseph Pickersgill moved in, the house seems to have been empty again, it's not even listed in the 1901 census. Pickersgill had also changed the name from the Nunnery to Sunnyside. Joseph Pickersgill was a very successful bookmaker, whose estate when he died was worth £746,459, after having started his career with a butcher's stall in Leeds. 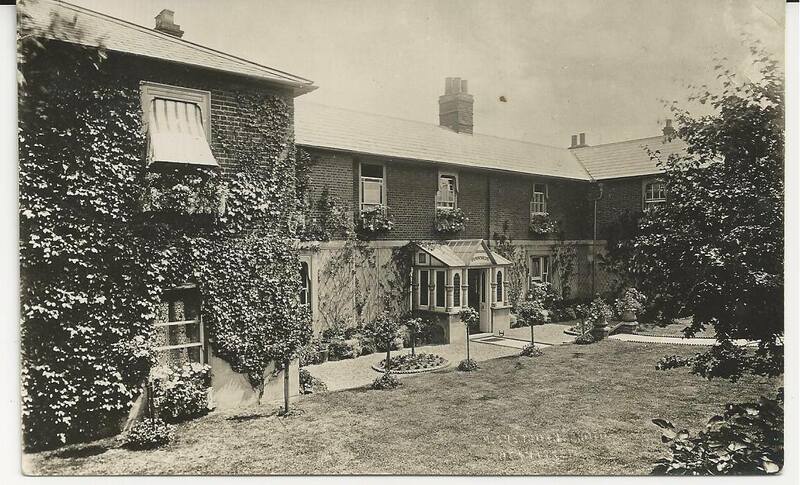 He didn't live in Newmarket, but used the Nunnery as his base here while he was in town for the races. Joseph's main house was Bardon Hall in Leeds - built between 1873 & 1875, it was designed by John Simpson for his cousin Thomas Simpson, a Leeds solicitor. In 1899 it was acquired by Joseph Pickersgill, the self-made millionaire businessman who'd made his fortune as a racehorse owner, turf commission agent and property speculator. He built a magnificent stable block to house prize horses. Following its auction in 1920 the house became the residence of the Roman Catholic Bishops of Leeds and later a school. It has now been developed for housing. 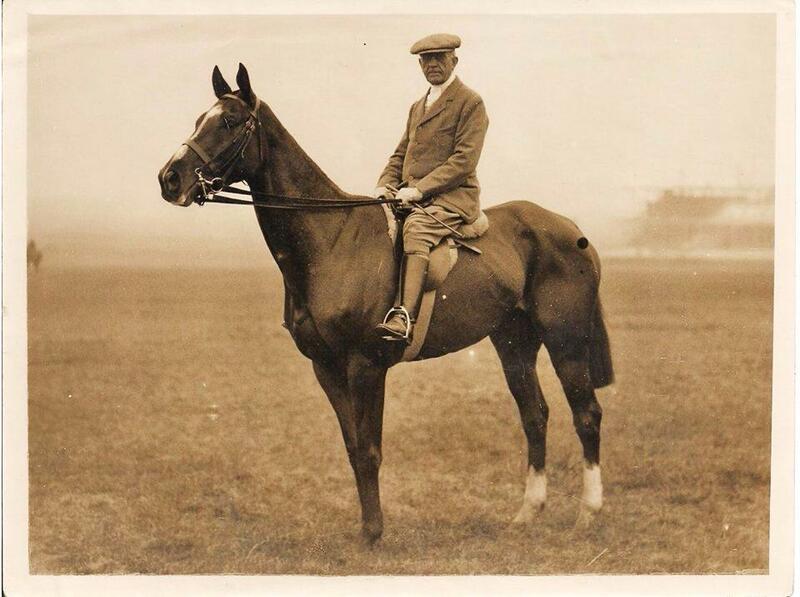 George Harvey Blackwell of LaGrange and Beverley House stables fame moved into Sunnyside in the early 1920s. George Blackwell had other racing links in Newmarket and his daughter married the jockey Henri Jelliss who later lived at Glenwood in the High Street. Henri's son Harry Jelliss also kept up the racing tradition and later became a trainer at Palace House Stables. George Blackwell is the great grandfather of Valerie Archibald Embrey. Lionel Brook Holliday was an immensely wealthy Yorkshire industrialist. The family business of producing aniline dyes was started in 1860 by Lionel's grandfather, Bradford born Read Holliday, and became the Holliday Dyes and Chemicals Ltd. Following a Government takeover of the business in 1915, the then owner Major Lionel Holliday used his share of the sale to set up the manufacture of dyes under the name of L. B. Holliday and Co. Ltd. Lionel was born in Huddersfield on 12th January 1880 and originally lived at Badsworth Hall near Pontefract, before renting and eventually buying Copgrove Hall, Burton Leonard, Harrogate in 1936. He became a racehorse owner and purchased Newmarket's LaGrange stables in 1946 and also Sandwich Stud on the Moulton Road, Cheveley in 1958. During his time at Newmarket he lived in Sunnyside, where he can be seen in the phone books from 1946 until 1964. He died on 17th December 1965 at Copgrove Hall, and the estate was inherited by his son (another Lionel Brook Holliday, known as Brook to distinguish him from his father). 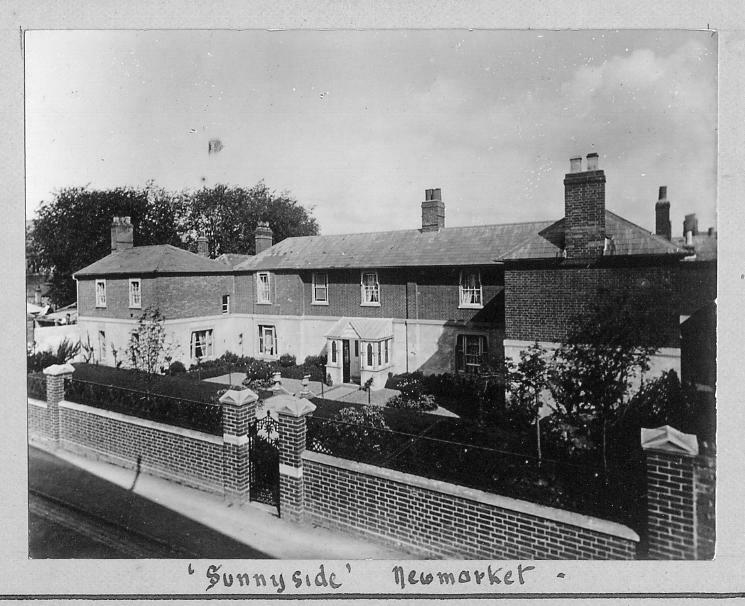 The family faced massive death duties that forced the sale of the major assets; which included the Newmarket studs and clearly Sunnyside - as it wasn't long after this that the building was demolished for development and new houses have been built here ... though the area is still called 'Sunnyside'.